The third annual Meyers Outdoor Gear Swap has been postponed due to weather until Sunday, October 23rd. Skis, snowboards, bikes, paddle gear, climbing equipment, and other outdoor toys will be available for sale from 11am to 3pm at the Westgate Center parking lot adjacent to the Divided Sky. If you have quality summer or winter gear to sell, come on down! Merchandise registration will take place in the parking lot between 8:30am –10:30am; there is a $1 cash per item fee to register for the swap. Please no equipment over five years old. Twenty percent of the proceeds will go to the Meyers Community Foundation to support sustainable projects in your local community. Help out your local community while you stock your gear room with some gently used equipment. For more information about the swap please contact Rene Brejc at 530-545-0340. See you there on Sunday, October 23rd! On Oct. 16 the Meyers Community Foundation (MCF) will host the third annual Meyers Outdoor Gear Swap in the Westgate Center parking lot adjacent to the Divided Sky from 11am-3pm. Looking for some sweet gear? Shop until you drop for skis, snowboards, bikes, paddle gear, climbing equipment, camping equipment, and other outdoor toys. Cash or credit cards will be accepted. If you have quality summer or winter gear to sell, come on down. Merchandise registration will take place in the parking lot between 8:30am –10:30am; there is a $1 cash per item fee to register it for the swap. Please no equipment over five years old. Unsold merchandise can be picked up between 3pm – 5pm; unclaimed items will be donated. Twenty percent of the proceeds will go to the MCF. If you want to make a bigger contribution and increase your impact in the community, gear donations to the MCF are appreciated. 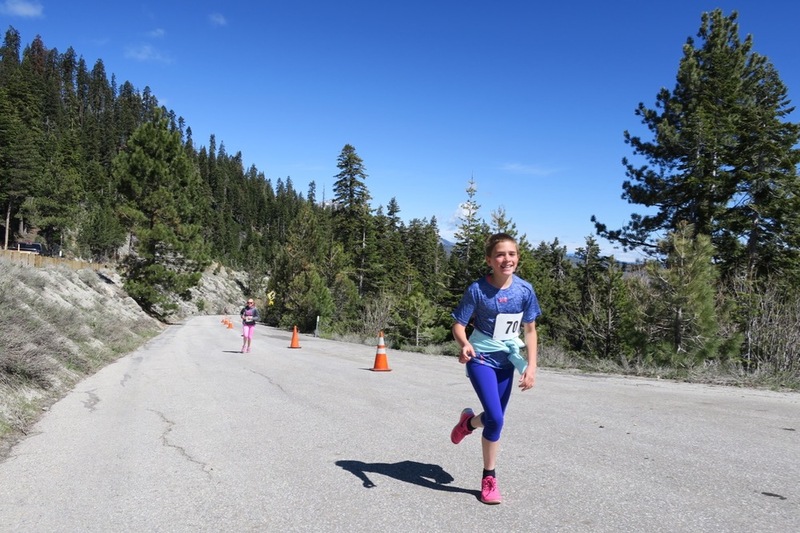 The MCF is a 501(c)(3) dedicated to improving life in Meyers, California through its support and promotion of creative and sustainable local projects and community-enhancing events like the annual holiday tree lighting and the OMG Fun Run. For more information about the swap, please contact Brian Levy at (530) 545-9941 or Rene Brejc at (530) 545-0340. Thanks for supporting the inaugural OMG Fun Run! Thanks all for coming out for the inaugural OMG Fun Run -- you really brought the fun! The names of those who placed in each division are below as well as all of you who completed 3 or more laps. Wow!!! Men's Walking Winner - Anthony Capaiuolo - reached the top in 12 minutes!!! A big shout out to our main sponsor, Tahoe Center for Orthopedics/Barton Health. We’d also like to thank Alpen Sierra Coffee for their sponsorship and hot beverages, and Sierra-at-Tahoe Resort, Crossfit 9650, Jeff Chamberlain, DDS, Affordable Construction Services, New Visions Construction, Got It! Real Estate & Development Corp, Century 21 Tahoe Paradise, Novasel & Schwarte Investments, Inc., Safe Haven Chiropractic, Divided Sky, Bona Fide Books, Rise Design, Lira's Supermarket, El Dorado County Supervisor Sue Novasel, Getaway Café, The Studio at Lake Tahoe, Tahoe Trail Bar and Fast Prints. Kudos also go to the California Conservation Corp, Lake Valley Fire District, CalTrans, the Department of Transportation, Grant Stewart and Garrett Froelich. See you at the inaugural OMG Fun Run! Looking forward to seeing all of you tomorrow morning for a glorious day at the OMG Fun Run/Walk! Start is 10am sharp. Alpen Sierra Coffee will be there with coffee and hot chocolate and the ice cream truck is coming so bring a little extra change for a treat! Pre-registration is closed for the evening. You can register at the event from 7:30am - 9:30am. 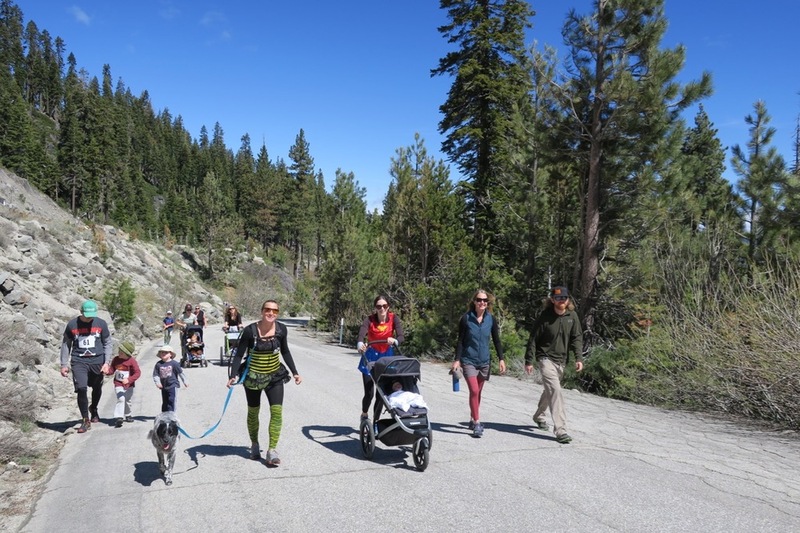 Register now for the inaugural OMG Fun Run to be held Sunday, May 22, 10am-12pm at the Old Meyers Grade in Meyers, CA. Registration for adults and children under 12 is available through midnight Saturday, May 21. The registration fee is $25 for adults and $10 for children under 12. Those who register before the race will receive a free OMG t-shirt. Registration the day of the event is $30/$15 and will be held onsite at Old Meyers Grade from 7:30 – 9:30 am. Old Meyers Grade is located .1 miles up South Upper Truckee Road. The course gate-to-gate roundtrip is 2.6 scenic miles. The event will be held rain or shine. Prizes go to the first person to reach the top of the grade in each division and for the most laps. Participants who complete at least three laps will have their names posted on our website after the event. There will be refreshments, music and fun—costumes are encouraged! The OMG Fun Run is presented by the Meyers Community Foundation, a 501(c)(3) dedicated to improving life in Meyers. Proceeds from the event will go to fund, support and promote creative and sustainable projects and community-enhancing events in Meyers. On Sun. Oct. 18 the Meyers Community Foundation is hosting the second Meyers Outdoor Gear Swap in the Westgate Center parking lot adjacent to the Divided Sky from 11am-3pm. Bring quality summer or winter gear to sell. Skis, snowboards, bikes, paddle gear, climbing gear, camping equipment, and other outdoor toys wanted. Public merchandise registration will take place in the parking lot between 8:30am –10:30am; there is a $1 cash per item fee to register it for the swap. Please no equipment over five years old. Unsold merchandise can be picked up between 3pm – 5pm; unclaimed items will be donated. Twenty percent of the proceeds will go to the Meyers Community Foundation. Cash or credit cards will be accepted. The Meyers Community Foundation (MCF) is a 501(c)(3) dedicated to improving life in Meyers, California through its support and promotion of creative and sustainable local projects and community-enhancing events like the annual holiday tree lighting.